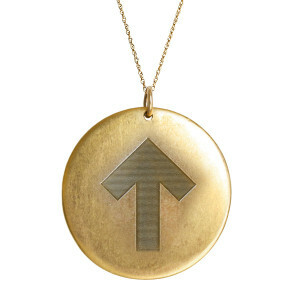 Get the perfect gift with this personalized pendant necklace from Golden Thread! 24K gold-plated antiqued matte 31mm pendant with arrow print on 30” chain. 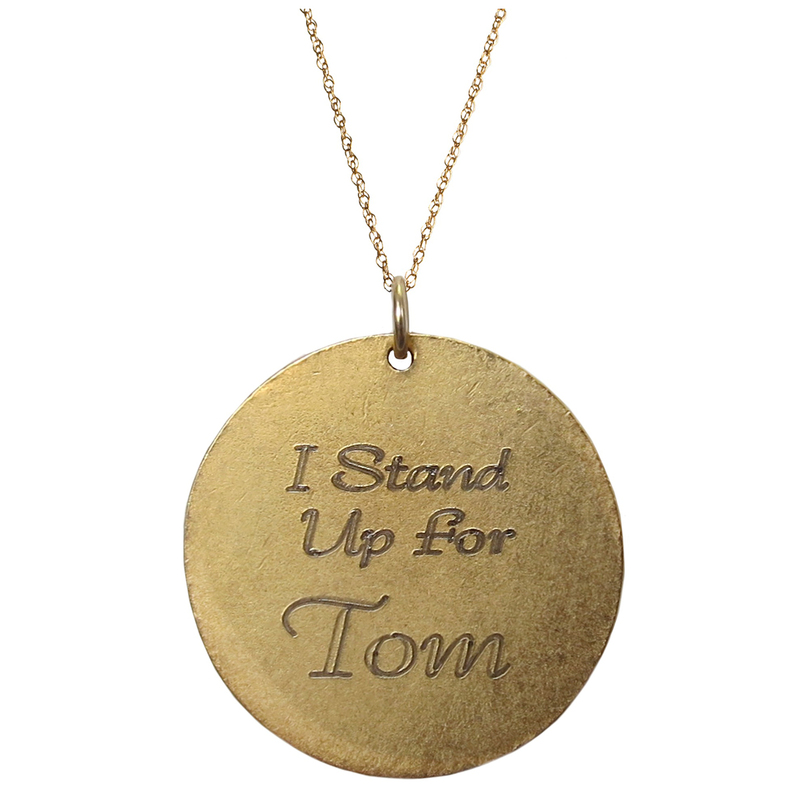 Add your own reason to stand up on the back!